One of my most vivid memories of my childhood is the night before my parents took me and my brother to LEGOLAND Windsor. I couldn't sleep. I was so excited. I remember going into my parents' room, asking if we could go yet and gently being told to go back to sleep. 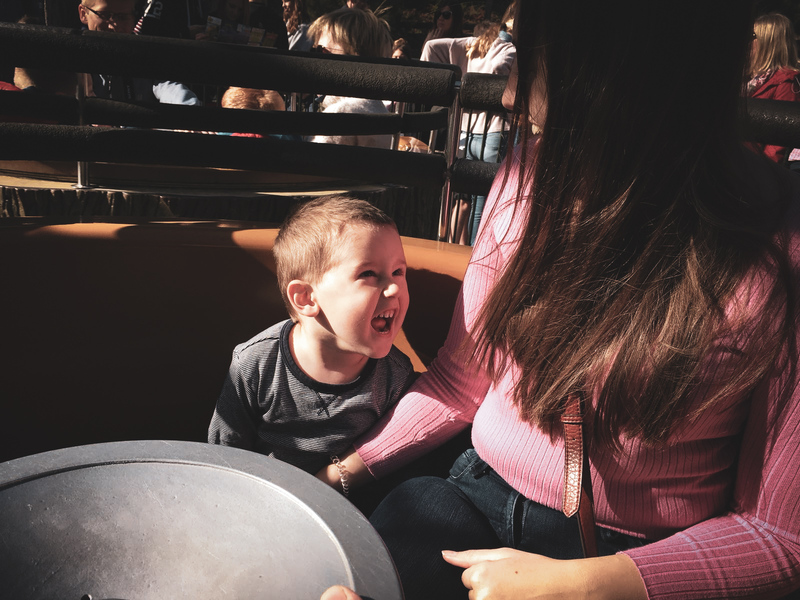 I couldn't contain my excitement and although I can't remember every single part of that day, there's so many things I can remember; from the log flume ride that drenched us, to the awesome face paint, driving the LEGO cars and panning for gold. 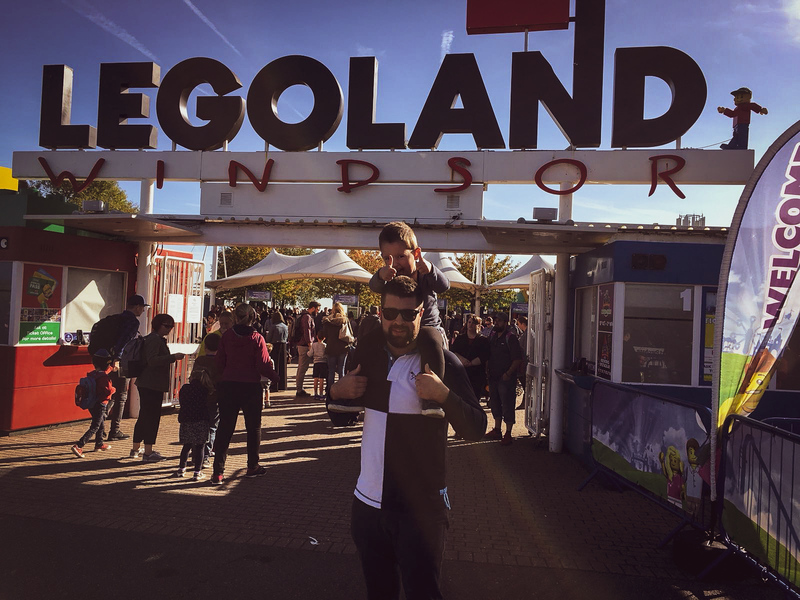 Fast forward a couple of decades and I was lucky enough to get to visit LEGOLAND Windsor again, this time as a parent! I was so excited for Arthur, as I knew, even though a little younger than I was when I visited LEGOLAND as a child, he was in for a day full of adventure and fun. In fact, we all were. 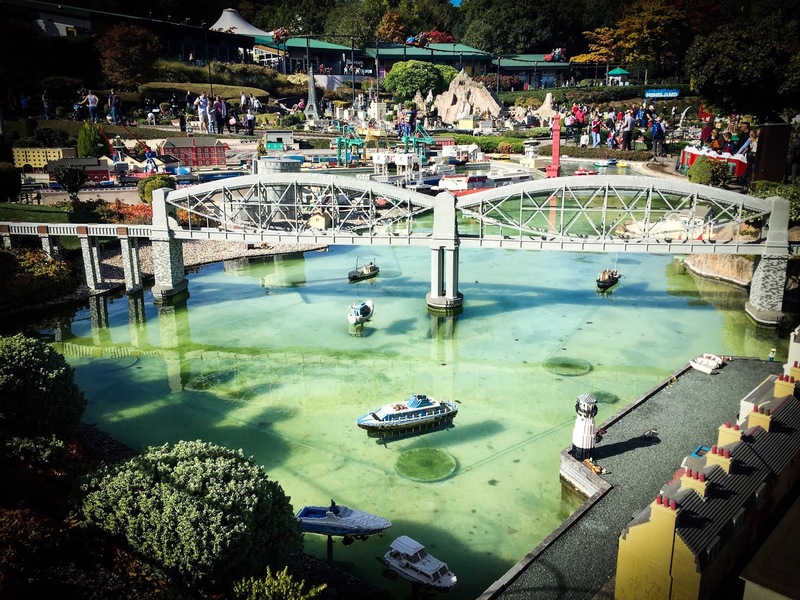 LEGOLAND is one of those places that is magical for all the family. 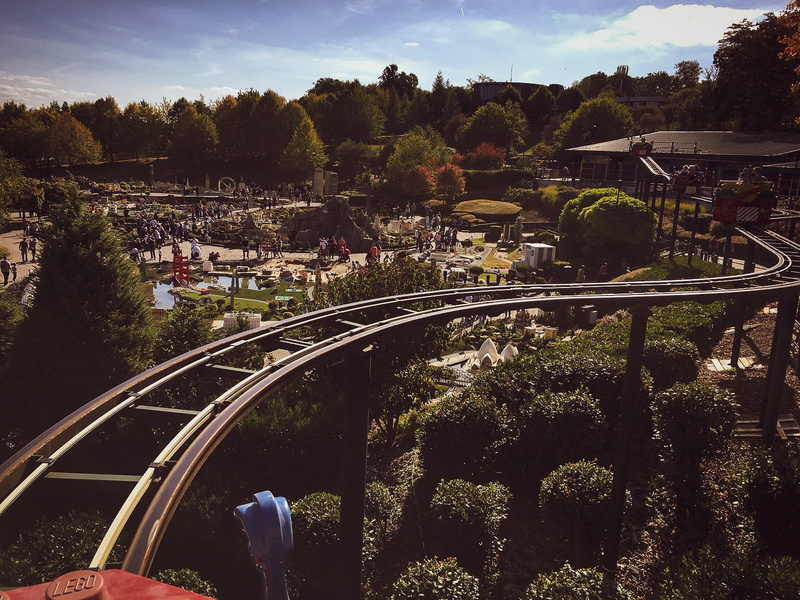 For most, the main reason for visiting LEGOLAND is the theme park rides and what I personally love is that because they're designed for kids, they're fun but not too frightening! 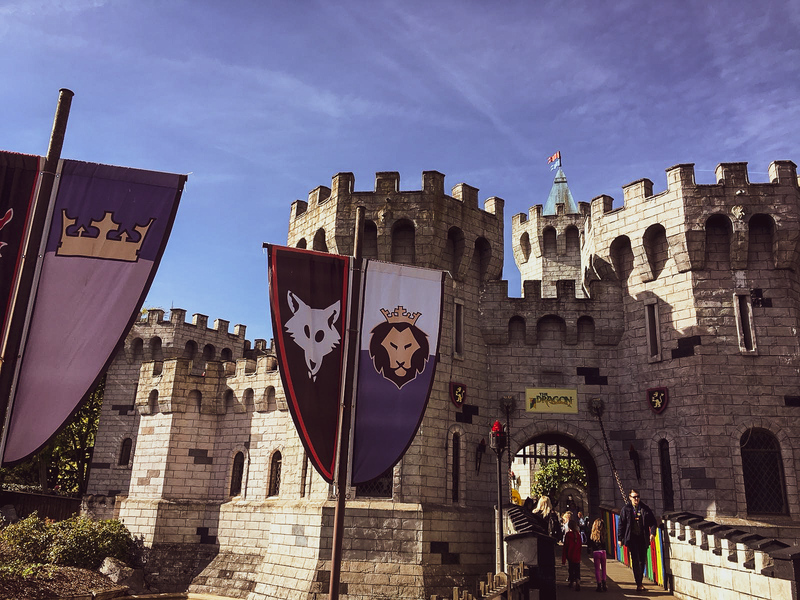 From rollercoasters like the Dragon's Apprentice to water rides like Raft Races and even interactive rides like Laser Raiders, there's something for everyone to enjoy. 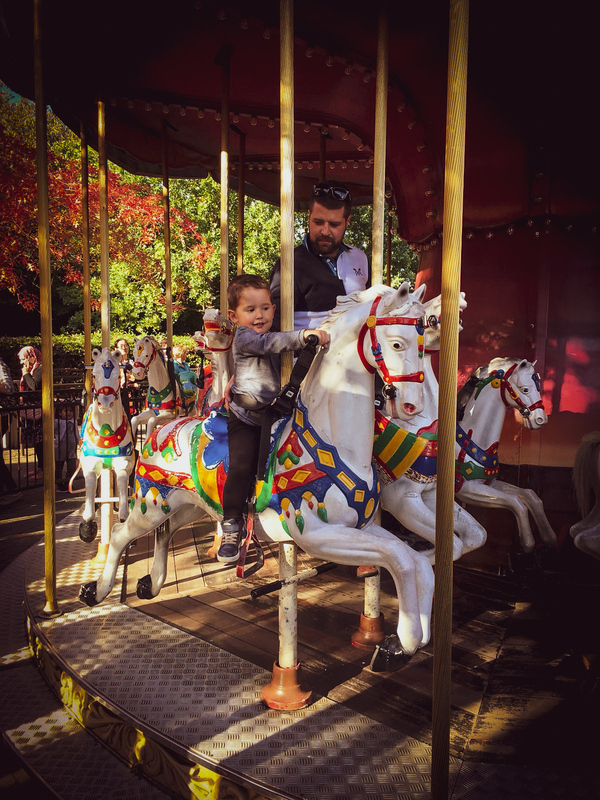 Something you do need to consider is which rides your child will be able to go on, as there are various height restrictions in place on many of them. For a lot of the rides your child needs to be 0.9m tall and accompanied by an adult if they're under 1.3m. 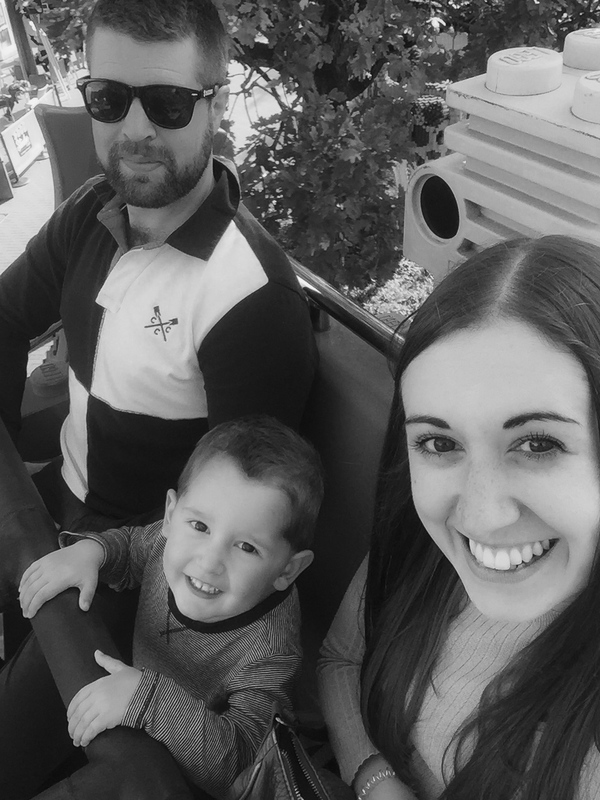 Arthur thankfully met the 0.9m height requirement, so we were able to take him on a lot of the rides! Please, please do check the height requirements before you queue up and make sure your child is tall enough because there'd be nothing worst than queuing up, getting to the front and then being told they can't go on! 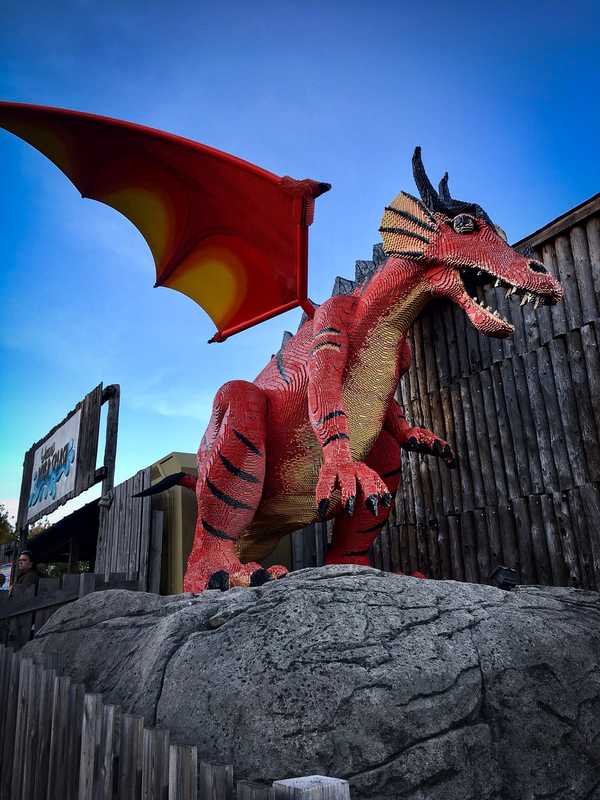 Aero Nomad, Atlantis Submarine Voyage, Balloon School, Coastguard HQ, Desert Chase, Dragon's Apprentice, DUPLO Valley Airport, Knights' Quest, Laser Raiders, LEGO NINJAGO The Ride, Raft Racers, Sky Rider, Spinning Spider, Thunder Blazer. Arthur loved all of the rides but I think his favourite was the LEGO NINJAGO ride. 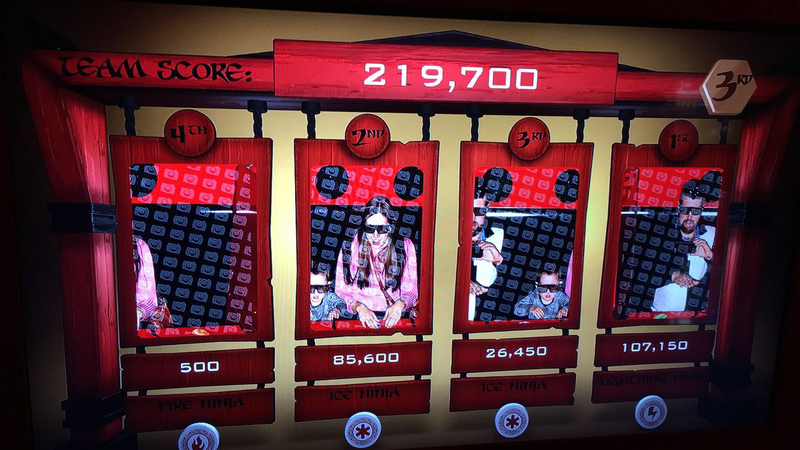 This was a 4D interactive family ride that puts your ninja skills to the test! It was good fun and we must have looked hilarious doing the ninja actions. Josh of course scored the most points on our team and I think we came third overall! We all agreed that the Submarine Voyage was up there as a favourite too. It was something quite unexpected for LEGOLAND and Arthur was so excited to see the sharks and fish up close. I don't think he could quite believe what he was seeing! 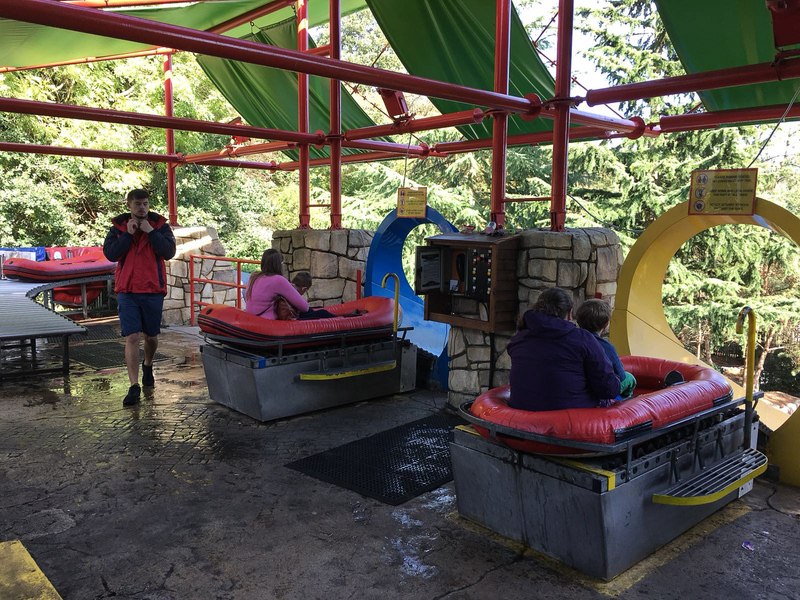 You can find out all about the different rides, along with any height requirements, here. I think one of people's biggest concerns when they visit any theme park is how long they're going to have to queue for and I'm not going to beat around the bush, the queues for a lot of the rides at LEGOLAND were pretty long. We visited on a Saturday and for some of the rides, the live queue time was '1 hour' which when you think about it, is quite crazy! 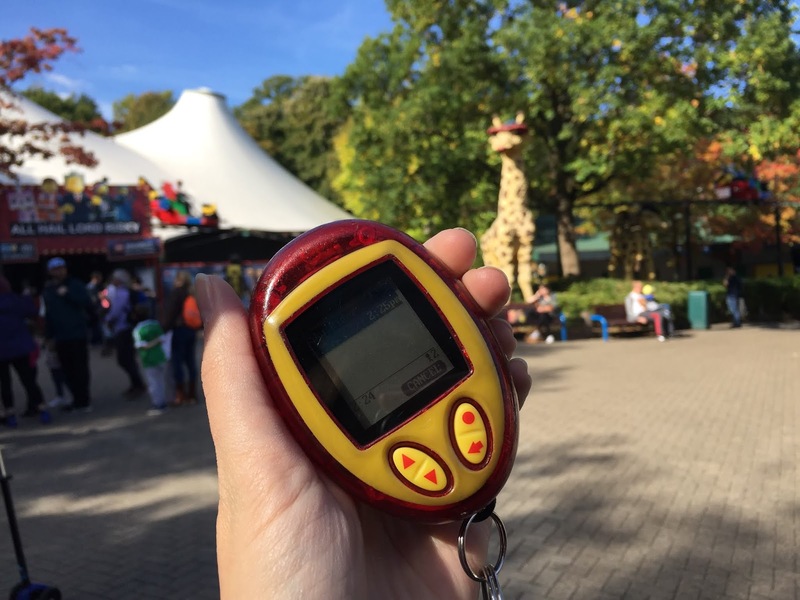 You can view the live queue times while you're visiting the park by downloading the LEGOLAND app. It's also got a pretty handy interactive map, which is great for planning which rides you are going to go on next. I feel like I can't say too much about queuing though, as we were lucky enough to have a Q-BOT ultimate, which was kindly gifted to us and meant we could jump a lot of the queues. I have a separate post on this coming up so keep an eye out! 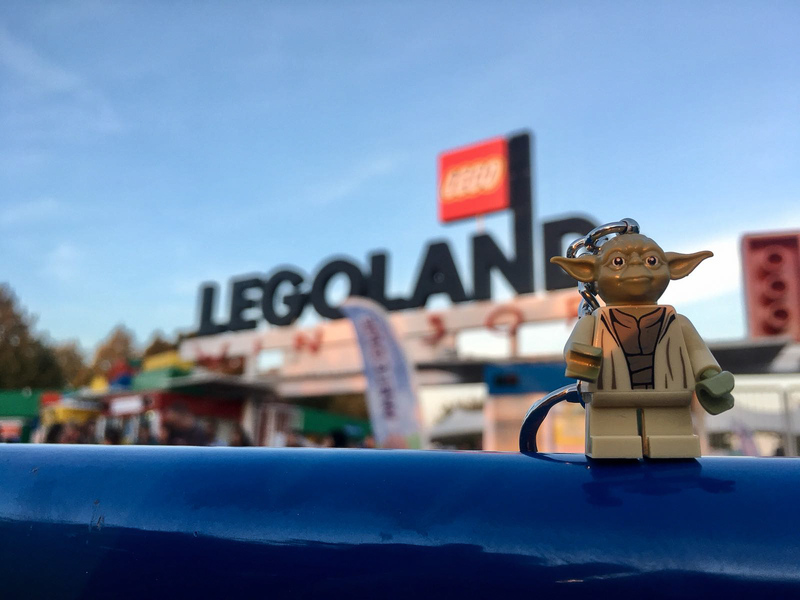 As well as fantastic rides, LEGOLAND has a whole host of attractions for all the family. 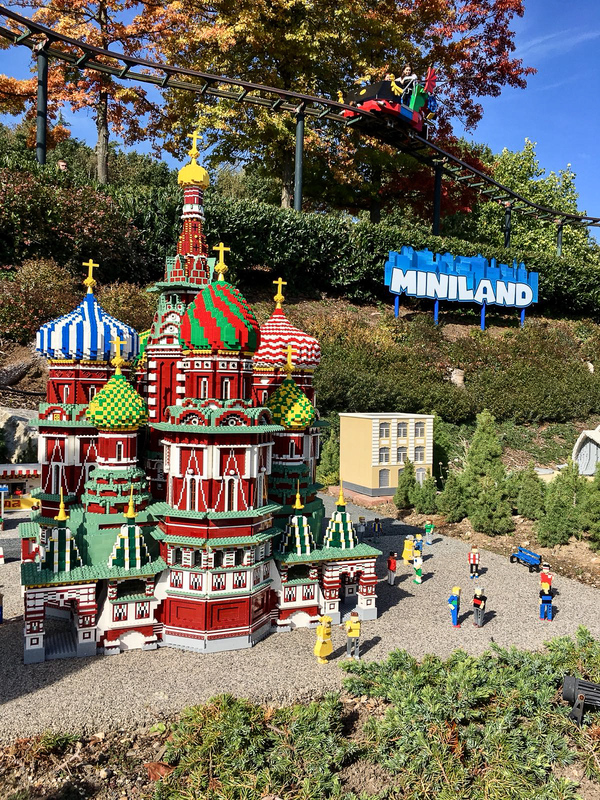 One of our favourites was Miniland, which showcases landmarks from all over the world and is made out of over 42 million lego bricks. It really is impressive and provided some great photo opportunities! 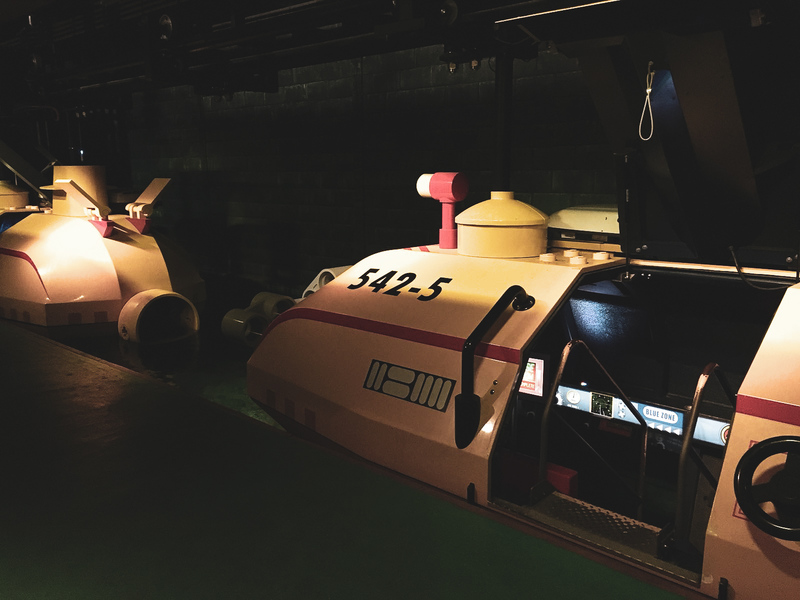 There was also interactive elements for the kids and remote control boats on the Miniland Lake. 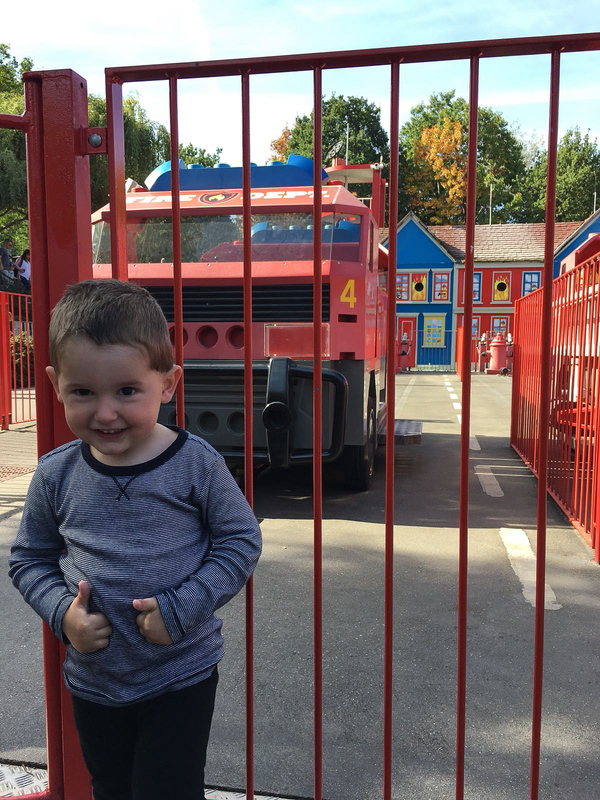 Another attraction Arthur particularly enjoyed was the Fire Academy! This involved family teamwork, as we had to hop into a fire engine, pump it across to the burning building and use the hose to put out the fire. It gave us adults a giggle, especially as Josh is so competitive and you're against the other families! I think we came second - so not a bad effort! 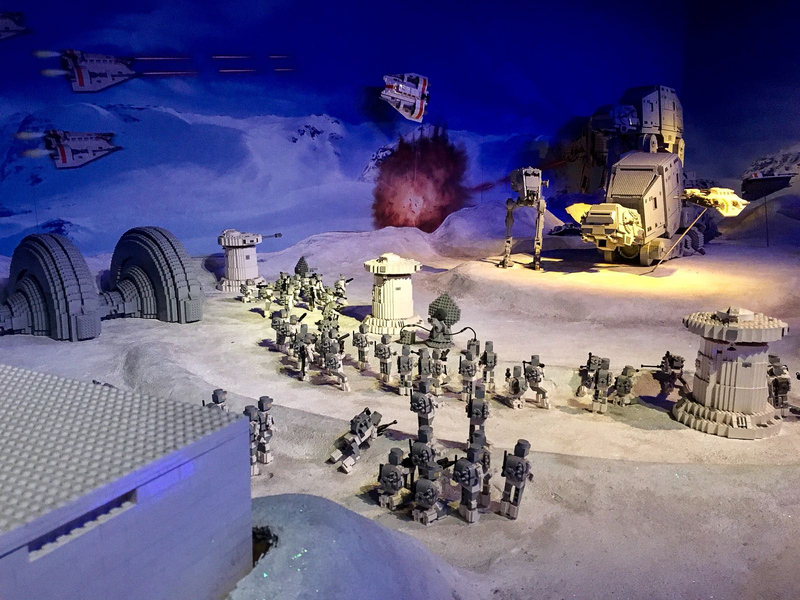 If you're a fan of Star Wars, you must visit the Lego Star Wars Mini Display at the theme park. 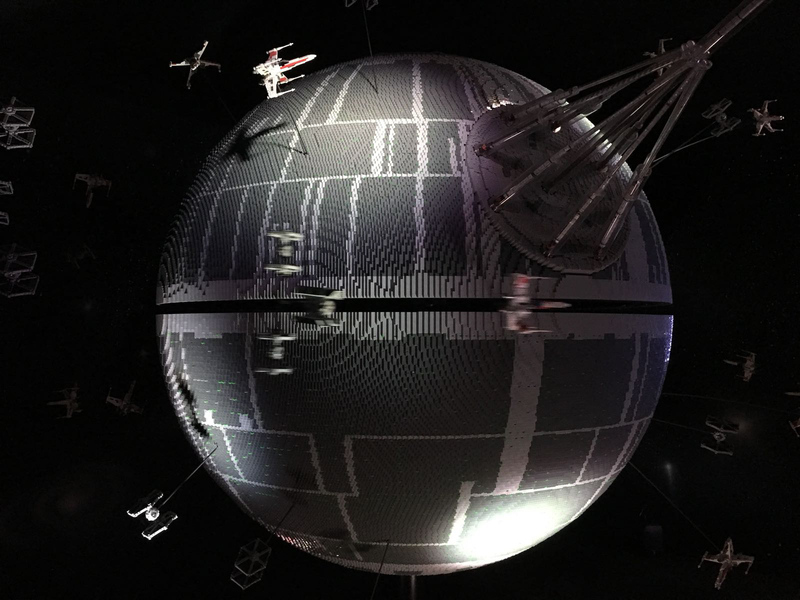 There you will find iconic scenes from the films that have been created out of 1.5 million Lego bricks. Some of the displays are interactive, which is fun for the kids. Obviously Arthur is a little young for Star Wars but he recognised R2-D2 straight away! Again, it's great for photo opportunities and you can even take one next to Darth Vader, with your very own lightsaber. 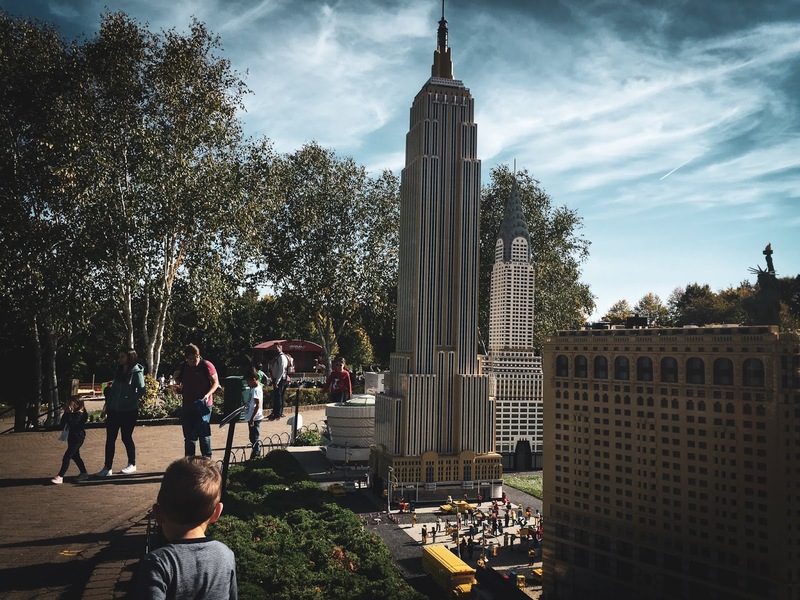 There are plenty of places around LEGOLAND to purchase refreshments but like at many theme parks and attractions, you may pay a little more than you would at say a supermarket. We had such a big breakfast at our hotel that we didn't really need a proper lunch, so settled for a cup of coffee (water for Arthur) and a bag of dipping doughnuts to share. The doughnuts were delicious and totally worth the queuing time! Arthur actually fell asleep in my arms while we were queuing - I think he'd had so much excitement, he needed a 20 minute power nap before continuing with our day. We wanted to treat Arthur to a little Lego present as a token of his day and decided the best thing to do would be to purchase it from the LEGO shop, just before closing, so we wouldn't have to carry it round with us. Turns out, everyone had decided to do the same thing (hardly surprising) so the shop was absolutely packed! Having said this, the staff worked really efficiently and the queue time to pay wasn't bad at all considering. The shop has a fantastic selection of products, all in themed sections and we ended up treating Arthur to a monster truck, which he absolutely loves. We also purchased a couple of key rings as a token of our day; Macy from Nexo Knights for Arthur (I love that the female knight is his favourite character - and that he says she's like mummy!) and Yoda for Josh! There are a few shops dotted around the park, if you'd rather be sensible and make a purchase earlier. Do keep in mind that you'll have to carry it round with you though, unless you get a locker. 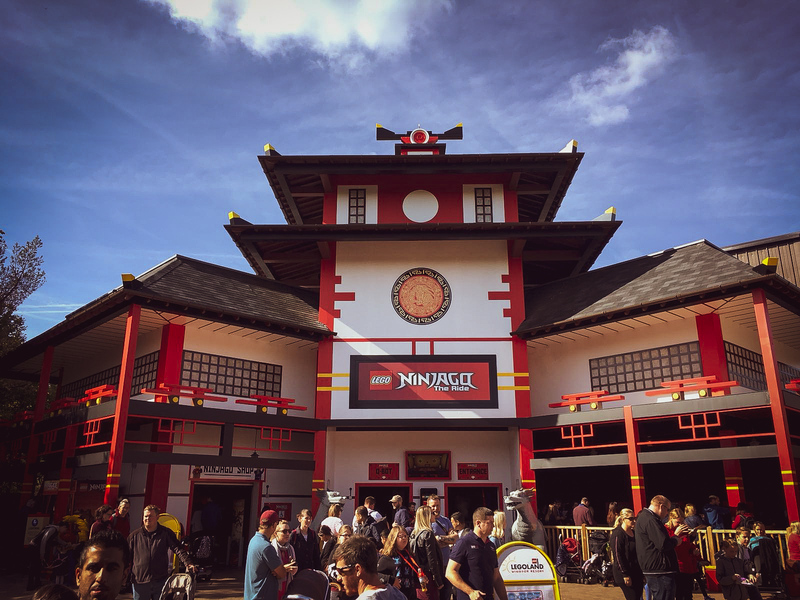 LEGOLAND - A fun family day out! 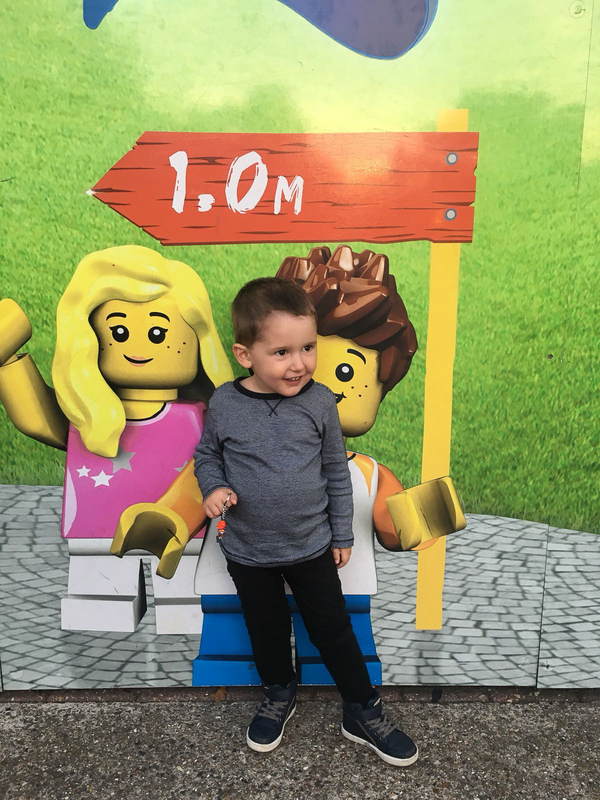 As a family, we thoroughly enjoyed our day at LEGOLAND and it's a theme park I would really recommend to other young families, as it's very family oriented. It has a lot to offer, from child-friendly rides to awe-inspiring attractions that are sure to impress. 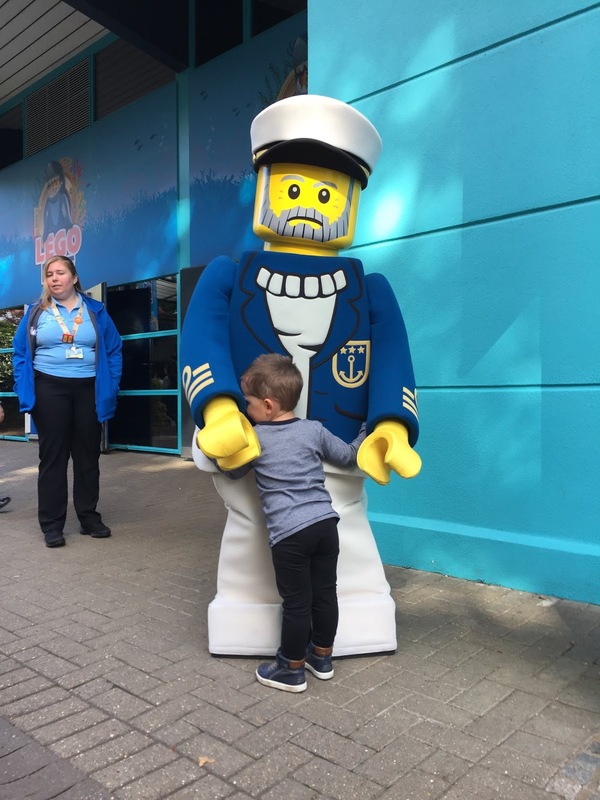 If your child loves Lego, you can guarantee they'll love LEGOLAND. I guess like with all theme parks, lengthy queue times are the biggest problem, especially if you have young children who don't understand and can quickly get irritable. We were obviously lucky enough to have the queue jumping ticket (again, I'll talk about this in another post) but I think we may have struggled with Arthur in some of the queues, had we not had the Q-Bot. For the most part it is a fantastic place; truly magical for children and a great day out for adults too. 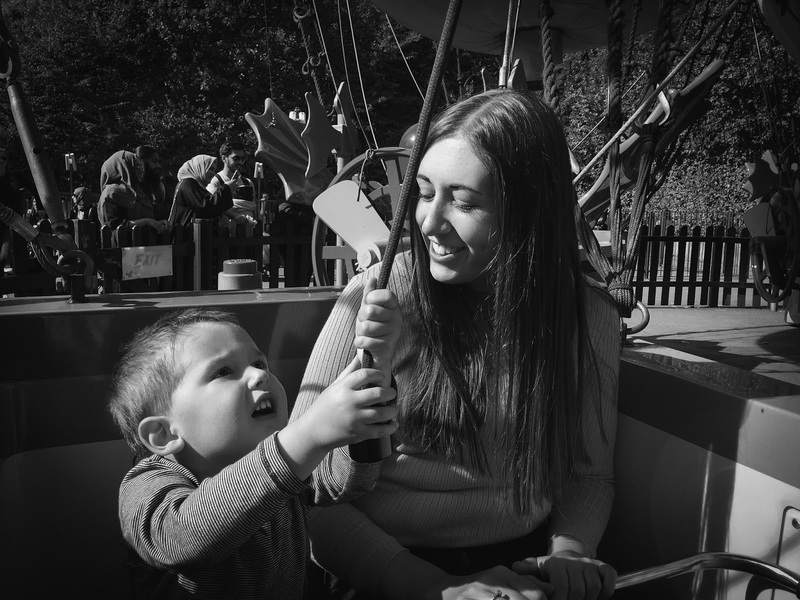 We feel really lucky to have been able to take Arthur and it's a family trip we'll never forget! A big thank you to 365 Tickets and Merlin for working with us. 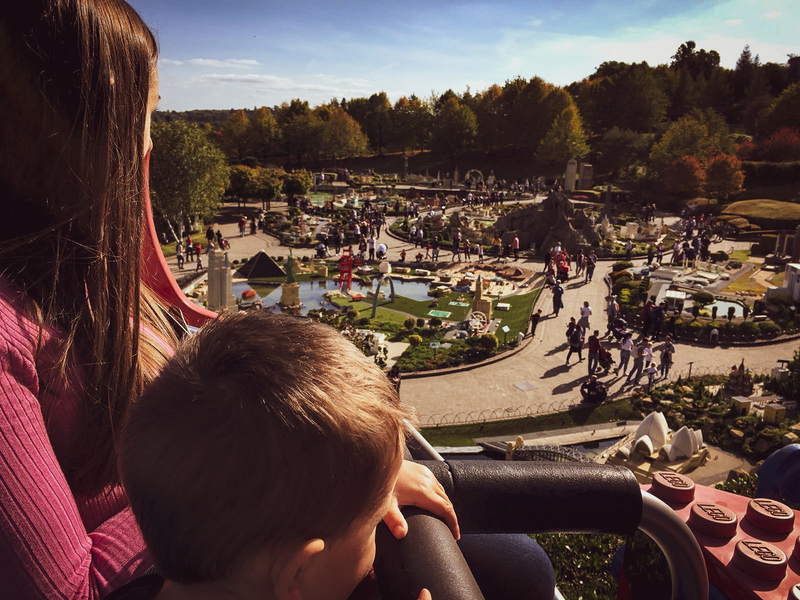 Have you visited LEGOLAND with your family? What did you think? 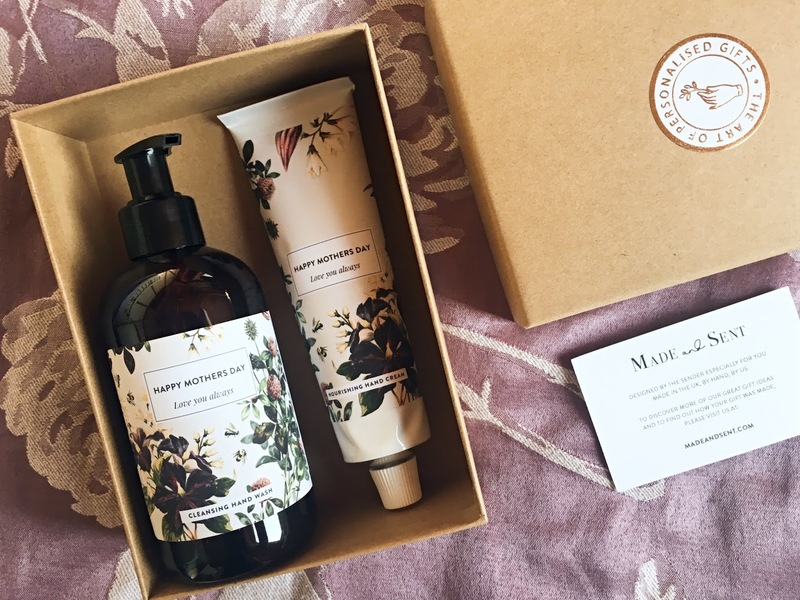 Are you planning a trip soon? Comment below or feel free to tweet me @meganjane03 if you have any questions! 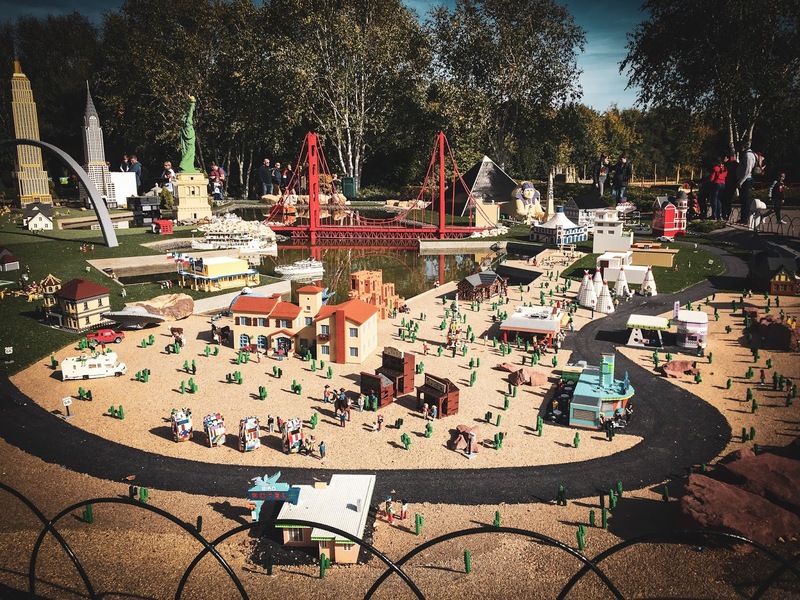 Disclaimer: We received complimentary tickets to LEGOLAND in exchange for an honest review. I've got a confession to make...I practically live in skinny jeans. Before becoming a mum I was all about the cute dresses but since then I've always gone for the comfortable and shall we say, practical option? Don't get me wrong, there is nothing wrong with skinny jeans, especially when autumn rolls around and you can pair them with a lovely oversized knit - take a look at the two featured above, aren't they gorgeous?! But this season, I'm hoping to step a little out of my comfort zone and treat myself to a pinafore dress and perhaps even a midi-length skirt. I'm soooo risky. The thing about pinafore dresses is that I always find them to be a little on the short side. As in, barely covering my bottom. And at the grand old age of...27 (well actually, 28 tomorrow) I feel like my dress should cover what my other half and son would describe as my 'rather big bum.' The two I've featured above look to be a decent length so I'm hoping that if I get round to ordering one that it will tick that box. 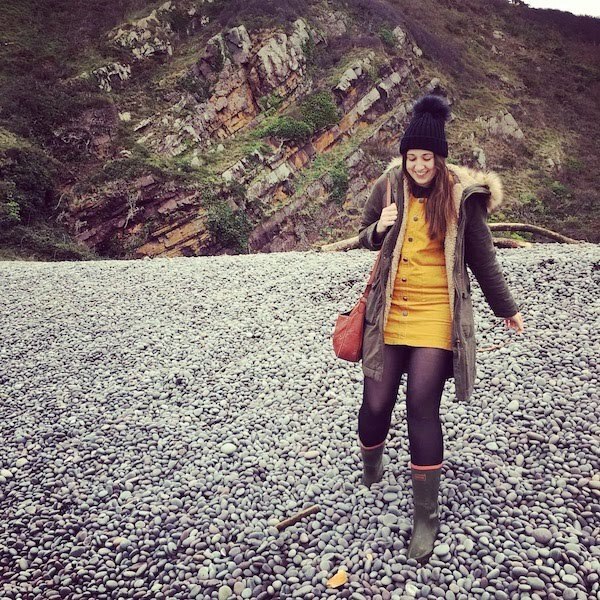 The mustard and burgundy pinafore colours are dreamy - so perfect for autumn and I think they'd look lovely paired with a stripy top (a staple in my wardrobe.) I've got my eye on that khaki green stripy top! I'm also loving the rust cord pencil skirt from New Look. 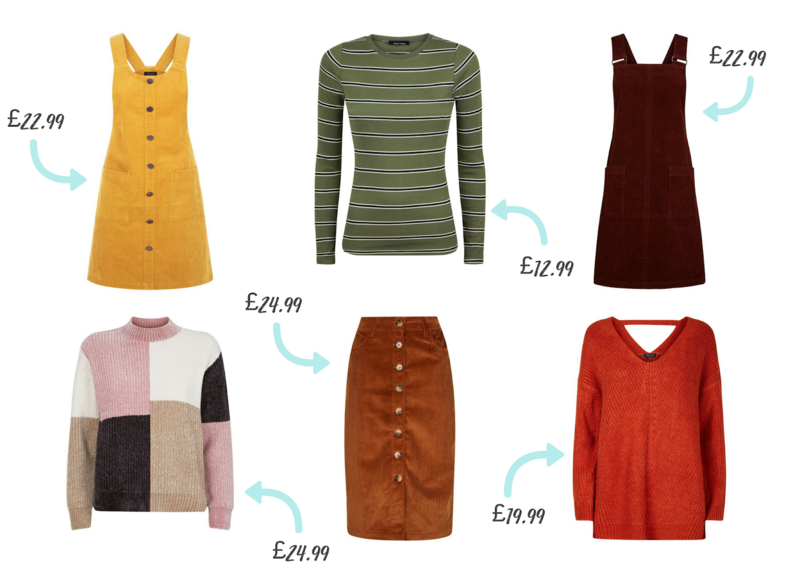 It'd go with so many things, from basic long-sleeve tops to roll neck jumpers. I'm just trying to work out whether I could get away with wearing it with tights and ankle boots...I think I could right? I'm just not really a ballet pump or heels kinda girl these days. Again, it's all about the comfort! So yep, that's what's on my autumn wishlist and since it's my birthday tomorrow I may just treat myself to a piece or two. Decisions, decisions! What will you be wearing this autumn?